This ws contains explanations and samples essays of descriptions. 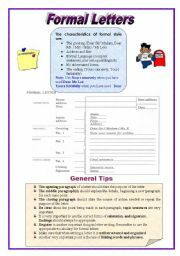 It explains the elements of descriptive writing and useful words and expressions to use in writing. This is a revised version of my old ws. 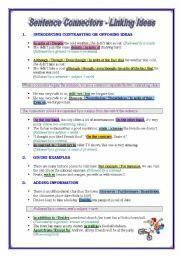 This is a 6 page ws that includes a comprehensive explanation about the different types of connectors, rules of punctuation and how to use them. There are also various exercises and an answer key. 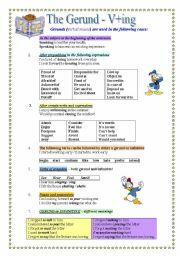 This is a 6-page worksheet which includes a comprehensive explanation of gerunds and infinitives and graded exercises to practice. 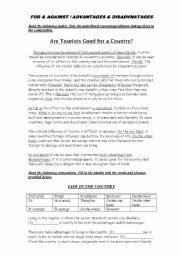 Some of the exercises may be suitable for intermediate level. (in the preview it may look a bit messy, but once you download it, it´s fine). This ws explains the rules and structure of an informal letter. it also includes a sample letter. This ws contains a variety of challenging (and even humorous) exercises on sentence connectors. It may be suitable for upper- intermediate as well. Key is included. (In the preview it may look a bit messy, but once you download it it´s OK). 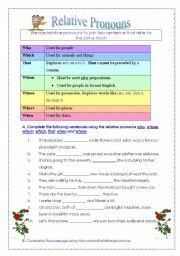 This is a 3-page ws that includes a quick review of the rules and a variety of exercises on relative pronouns. 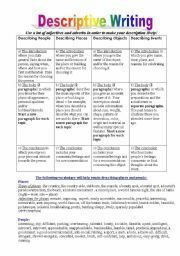 This worksheet includes a sample composition of for and against as well as some fill-in exercises. The students learn the important use of connectors in writing. They also learn the difference between opinion essay and for and against essay. 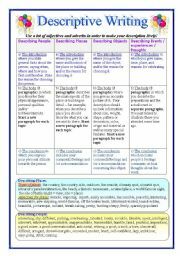 This is a 3-page worksheet which includes rules of the 3 types of wish sentences and graded exercises. Some of the exercises may be suitable for intermediate lever. This ws contains a comprehensive writing guide for formal letters. It includes rules, structures and useful phrases for different types of formal letters. For example, letters of complaint, application, recommendation, giving and asking for information and advice.